I imaged from my backyard location which is in the RED fringe area of the light pollution map and was only able to take a 30 second exposure before I reached the above goals. There were some ice crystals in the atmosphere which reduced my exposure time. I took another exposure from a darker site which is in the orange-yellow zone and was able to go for about 2 minutes until I hit my sky fog limit. The skies were a lot more transparent. We are working on building a observatory at a yellow zone site and should be operational by summer. I'm not sure how much longer I can shoot in this zone? Perhaps 3 minutes? I have imaged from a blue zone overlooking into the black zone and was able to shoot up to 5 minutes! 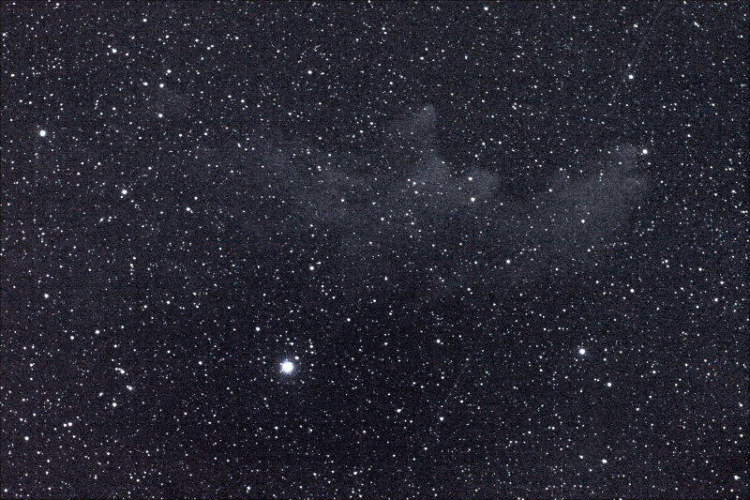 Well, this topic is of interest to me because I'm trying to capture the witch head nebula in its entirity and took some test images (4) in total due to the near zero temps and the lateness of the hour. I did pick up some nebulousity but not the fainter portions. I'd like to start some discussion on this topic. Here is an enhanced version. As you can see, overpushing the image drastically increases the noise. I can just start to make out the nebulousity in an unprocessed image. I was hoping for some reponses. I guess everyone was out imaging:) Posts seem to leave the front page swiftly. No responses? I guess it's that many of us have thrashed through this so many times we think it's all been said. I am not an old hand at this, and although I noticed your thread, I hoped my betters would intervene and save me making a fool of myself! In a nutshell, from light polluted skies, you will require many more subs and a much longer total integration time to achieve a result similar to that obtained under dark skies. But, given enough time, it can be done! Of course darker skies are better but good results can be obtained in light polluted skies too, if you have the stamina. You may have to use a total integration time ten times longer, or even more, before approaching dark sky results. So, while it can be done, it may not be very practical. Or so I understand it. Your Witch Head shows great promise but, to drive that noise down, you have to keep piling up the subs! BTW, I image at f4.0 and use 4 minute subs from a mag 6.4 location. Samir Kharusi has likely done more on this topic than anyone else. His article on sub exposure length is a good place to start reading, if you have not already read it. Thanks for the response. I do understand that more lights are needed to get the noise levels down. It seems that from heavy to moderate light polluted areas that the sky fog limits are reached so much quicker than from a dark site that it seems that only the brighter areas of the nebulosity are recorded and the really faint stuff is not recorded. From a dark location the faint stuff can be picked up because of imaging longer. I actually tried taking over two hours of subs on the Pleiades and was very hopeful. I loaded several of the subs into DSS and the final image was disappointing. While the image was nicely clean, when I pushed the image to enhance it, the fainter regions were not there? Its as though some info was either not picked up due to shorter intregration times or was clipped in DSS somehow? Anyway I was disappointed. I have imaged the Pleiades from our darker location a year ago and picked up the fainter nebulosity. Can you pick up nebulosity in a light polluted sky to the same detail and extent as from a dark sky, given that you integrate long enough? My limited understanding is yes! Sort of. It will take ten to 15 times longer though. So, two hours is not enough from a light polluted site. In fact, not even nearly enough! I used more than that in my 6.4 mag skies to get these images of M45. They were with integration times of 4.3 hours at f4.0 and 1.3 hours at f2.8. At your FR of f4.8, in light polluted skies, you will have to image for, like, 50 hours to achieve these results! Discouraging I guess but the point is more along the line of "is that correct?" The sort of is the cruial bit. If your sub exposure length is short and the faint area that you want to image is delivering a photon at a rate lower than your subexposure length then you will not be able to retain that partial signal in all but additivate stacking (median and sigma stacking WILL remove it). Say your sub exposure is 30 seconds and a point in the fainter part of the nebula is only allowing you to capture 1 photon on average every 90 seconds, then on average you will only capture a photon in 1/3 of your images. This is now indistinguisable from noise in most stacking method and stacking will loose it. Stacking a very large number of frames only improves the S/N ratio - it won't make dramatic inroads to the limiting magnitude for that exposure length. Only longer exposures and faster optics. I calculated that for my imaging set up (85mm appersture at FL 480mm) and using 5 mins subexposures a total of 9 hours integation would get me 1 mag deeper than a single image (by reducing noise and getting the signal to better stand out) and 27 hours were needed to get 2 mags deeper. Thats should give you the scale of the problem regarding getting the fainter stuff. To recap long intergration times will improve the smoothness of your images (less noise) but won't deepen the image more than 1 magnitude unless you put some rediculous integration times in. Its cheeper to drive to darker skies! Thanks for the explaination. My astronomy club is working on an observatory from a darker site which is in the yellow zone. Towards the south is a green zone which will be where I will primarily be doing my imaging. I am using a unmodded 30D and it has its issues as far as noise. I have been considering a Canon T3i so that I can take consecutive light frames and take advantage of the clear skies. The IR blocking filter results in even further intergration times. Tonk - In Images Plus, I usually use the default stacking method of min/max excluded average (which to my understanding is about the same as average, but it throws out the extreme values, so things like satellite trails are usually left out of the average). I have an option for a simple average (which I'm guessing wouldn't be as good as min/max excluded average), as well as "adaptive add". Are you saying that using adaptive add might be useful to pull out the very marginal faint detail in an image? What I'm thinking is that I make 2 stacks of an image where I have really faint detail - one with regular min/max excluded average, one with adaptive add. Then, perhaps I could use an HDR layered mask to blend the adaptive add version to capture the marginal faint stuff. Does this sound viable to you, given your explanation above? 1. Each sub has to be long enough that you are in the skyfog-statistics-limited regime. This implies that on the back-of-camera histogram your skyfog peak has to be higher than 20% of the X-axis. While camera-dependent, you will not go wrong if the skyfog peak is between 30% and 50% on the back-of-camera histogram at the ISO you wish to use. But for most beginners the problem is that they cannot track precisely for such long subs, so aiming for 20% on the BofC histogram at ISO 1600 will also work well, but you will have to shoot some extra, but still manageable, integration time. 2. The integration time (i.e. the time that all your subs stack up to) has to be directly proportional to your skyfog. Higher skyfog, longer integration time. This is where most beginners fall waaaaay short. A typical suburb of a large city has skyfog some 40x as bright as a pristine dark site. Perhaps they call this the "red" zone? An outer suburb flanked by farmland would be 15x rather than 40x. What this implies. Say, a "nice" image can be obtained with your set up at a dark site with 3 hours integration time. That first suburb would require 120 hours to end up with the same Signal to Noise Ratio. The second, darker suburb would require 45 hours. Of course, in suburbia we are willing to accept lower quality images, say equivalent to a mere 15 minutes integration time at a dark site. But 15min times 15 or 40 is still a lot of integration time. If dissatisfied with your results, just shoot more integration time until you are satisfied. You can never have too much. Apart from the above the rest of the stuff many worry about is trivia. Measure your skyfog so that you know what length integration time you should aim for for your site. How to is explained here. Takes a few minutes but the ensuing enlightenment is invaluable as long as you use that site for your imaging. Thanks for the info. The reason I had asked is that I use 3 minute subs at my location. My sky is about Bortle 5 - 19.2 on my SQM meter. My histogram is detached from the origin about 20% when I do this (if memory serves me correctly). The last few nights, I've been trying to image NGC 3628 (not so hard), but I'm trying to capture the tidal tail (much harder than I expected). As of yesterday, I had 10 hours of 3 minute subs, and I have just barely a hint of the tidal tail. I added another 6 hours last night, and am restacking all 16 hours right now. Tonk's posting had given me some hope that there might be some methodology by which I might be able to squeak some more out of the data. I'm determined to capture the tidal tail - I'm just starting to wonder if its going to take the rest of the season imaging the same object to accomplish this! Thanks again for the info, Samir. I've read the info on your web page before, but tonight I decided to test my skies. It isn't the right night to do it, because right now we have a 40% moon up. But, I was curious anyway. which shows Mt. Pinos as being on the border of blue/green areas (21.7 mag/arcsec^2). My house is about 2 1/2 miles NW of Mt. Pinos as the crow flies. So, I'm pretty sure my brand new SQM-LE isn't giving me good data (its showing 18.9 right now). Grrr. The first generation SQM that I own has a very large sample cone, the later model(s) has a narrower cone.The older model was more affected by the Moon and local light pollution. Nevertheless, with a Mag 20.5/sq arc-sec sky, you really have nothing to complain about I'd say that you must also have excellent transparency. I have noticed on previous occasions that even with the Moon up, you can have quite a dark sky backdrop to your chosen astro subject if it is well away from the Moon and there has been rain the previous day to wash out dust. Any slight dust/haze quickly deteorates matters. Thanks for the reply. I have been using ISO 1600 because I am imaging unguided. I can image for about up to 2 minutes before I see some star trailing. I have been trying to maintain a histogram peak of around 10-15% where I am out of the noise. I have tried imaging longer and exposing to about 20-30% on the histogram and it seemed to me to be a waste of time taking these somewhat (what it seemed like overexposed?) So I stayed with the 10-15% (trying to be near optimum efficient use of imaging time). With longer 20-30% range I find that I have to tone things done in post processing using levels and curves. Am I doing this right or am I missing something? I'm thinking that larger aperture will help in capturing the fainter stuff. My 80mm APO refractor has got down to +18. If I used many more images in stacking as you all suggested, I may be able to go deeper in faint magnitude. Pretty impressive considering its only 80mm. A club member of mine recently acquired the AP Richardi-Honders 12.5" astrograph. I can't wait to see what that scope picks up! 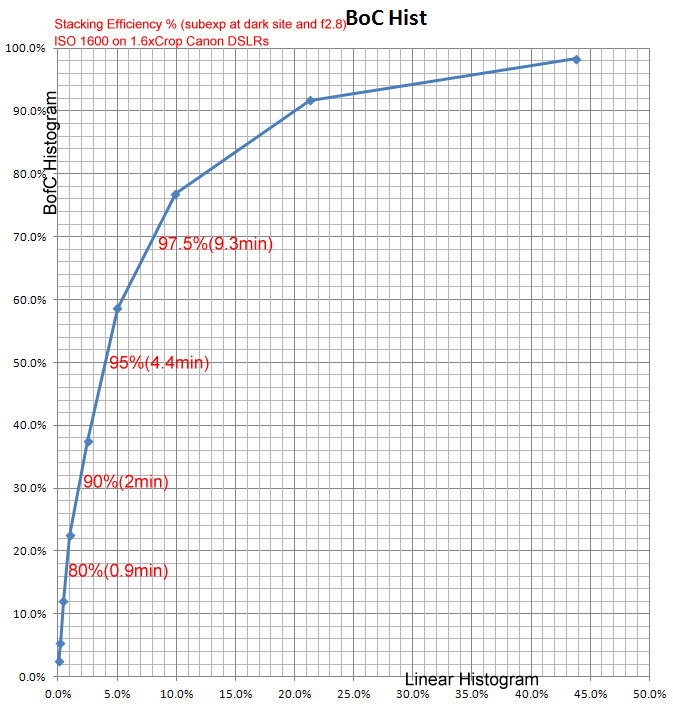 The graph above is for the latest generation of 1.6x crop DSLRs. For the 5DII (it has lower Read Noise and higher Gain, both good) the subs can be shortened by about one notch, e.g. for 30% BoC Histogram you end up with 95% stacking efficiency using 2min subs at f2.8 at a dark site. With the 1000D and its higher Read Noise than, e.g. the 500D and similar, you migrate towards the longer-length subs than in the graph. I do not have data sufficient to characterise the 1000D so I do not know whether it's a full notch up or just a little bit. It seems to me that quite a few 'if ands or buts' are being expended in an effort to avoid acknowledging a simple physical fact. Which is, sky fog, glow, light pollution, whatever you call it, imposes a finite limit on what can be imaged at any particular site. The truth of the matter is...if the faint details you're trying to capture are not brighter than the sky background then for all intents and purposes they don't exist. No amount of integration, exposure, or aperture, is gonna bring out what isn't there. Optimizing equipment and capture/processing techniques can make the most of what IS there but there is a limit. It IS there it just have a poor SNR. Most of the objects I image are way lower in brightness than the skyfog and with many long exposures they show up fine. 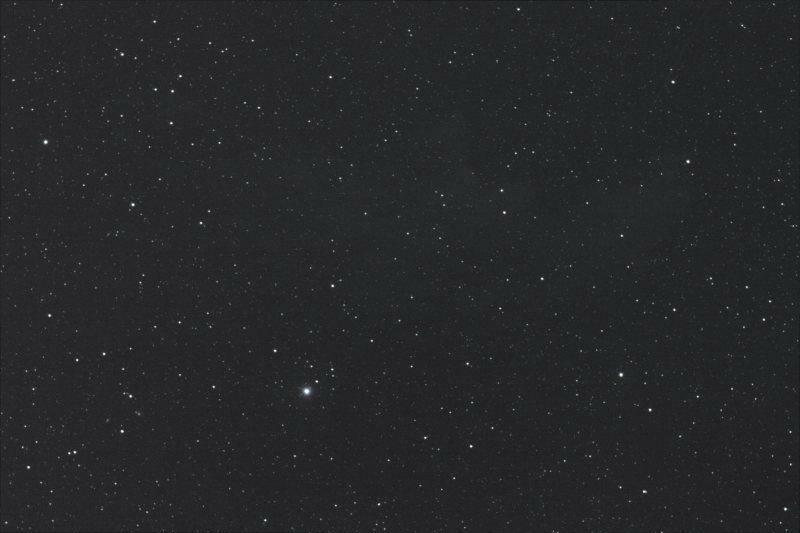 The skyfog and DSO signal add up, so you can still catch it. It is just harder with a lot of skyfog.